The holiday season is upon us, and it’s that time of year for gratitude and reflection. In this edition of the Brash Books newsletter, we share our fond remembrance of a beloved Brash author, along with another amazing award, a fresh new story, a rave review—and an abundance of upcoming releases for your reading pleasure. The awards keep coming for DOUBLE WIDE and Leo W. Banks! 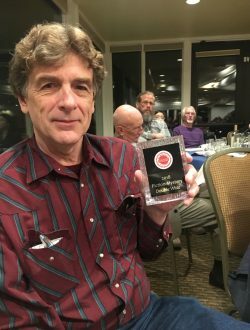 Banks’ debut thriller just received the 2018 Best Mystery Novel award from the New Mexico Book Co-op, announced at a gala awards banquet in Albuquerque on November 16th. Along with this latest honor, DOUBLE WIDE also has received two Western Writers of America 2018 Spur Awards and Best Crime Novel of the Year Award by True West magazine. If you haven’t read DOUBLE WIDE, see for yourself why the critics are so impressed and order your copy here—or check out the Tantor Audio edition on Audible, Amazon, or iTunes. Congratulations, Leo! We’re sad to share the news that Tom Kakonis has passed away. A master of crime fiction, Kakonis was often compared to Elmore Leonard for his stunning thrillers that blended dark humor with gritty storytelling. His crime noir capers were simultaneously compelling and innovative—packed with unique, sharply drawn characters and shocking twists. Kakonis’ highly praised debut, Michigan Roll, introduced Tim Waverly—a loveable gambler who constantly finds himself playing a game of survival against the odds—and the series continued with Double Down and Shadow Counter. Along with other novels like the harrowing Christmas heist Criss Cross, as well as Blind Spot and Flawless (published under the pseudonym Adam Barrow), Kakonis also wrote the dark comic thriller Treasure Coast. It was his final work—and the first ever original novel published by Brash Books in 2014. While Kakonis never received the recognition he deserved, he was an integral part of the crime fiction genre and a well-loved member of the Brash Books family. He’ll be missed. Finally back in print, these new editions of Dennis’ hardboiled series include brand new covers, along with an introduction by Joe R. Lansdale, the New York Times bestselling author of the Hap & Leonard series of crime novels. If you’re curious about the old covers—many of which were created by DC and Marvel comics artist Ken Barr—check out this blog post from Killer Covers and see how the new Brash covers compare. The first four books in the Hardman series will be available in just a few short weeks on December 3rd. 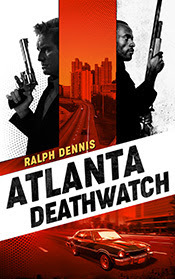 Preorder your copies of ATLANTA DEATHWATCH, THE CHARLESTON KNIFE IS BACK IN TOWN, THE GOLDEN GIRL AND ALL, and PIMP FOR THE DEADtoday on Amazon, iBooks, Nook, Google Play and Kobo. If you loved Brash Book author Craig Faustus Buck’s noir romp GO DOWN HARD, you’re in for a holiday treat. Craig’s new story, “Rush to Judgment,” is now available in the Nov/Dec issue of Ellery Queen Mystery Magazine. In this noir tale of sibling rivalry, blind ambition, lust, betrayal, and murder awash in the mud of Mississippi delta politics, the honorable Judge Enoch Crood seems to be just a few short days from a shoo-in election to the Attorney General’s office—but when his brother pulls a seemingly harmless, if odious, prank, things go tragically awry. Be sure to check it out! We’re already planning for the year, and we have a slew of preorders available to stoke your excitement about 2019! Then, on the heels of the republication of his beloved Hardman series, Brash Books will also publish Ralph Dennis’ THE WAR HEIST on March 1. 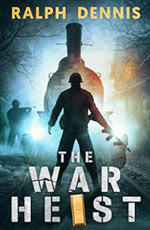 Described as “a sweeping adventure spectacle” by Kirkus Reviews and “a superb thriller!” by Jack Higgins, author of The Eagle Has Landed, this suspenseful thriller set in war-ravaged Europe in 1940 follows the top secret shipments of England’s wealth—and the group of American soldiers plotting to steal it. 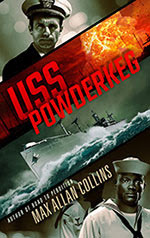 Both USS POWDERKEG (Amazon – more retailers coming soon) and THE WAR HEIST (Amazon, iBooks, Kobo, Nook) are now available for preorder. Get your copies today! Wishing you a Happy Thanksgiving and many reasons to be grateful in 2018. Until next time, read on, and stay Brash. Carl's first love returns and rekindles their sexually-charged romance. There's just one problem. She died three weeks ago. Is she an imposter? A ghost? Or is the answer even more chilling? 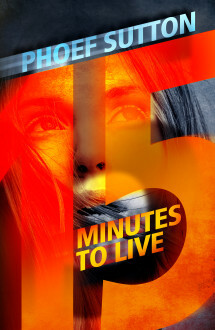 A brilliant thriller from a multiple Emmy-Award winning writer.